Clients at the Julia Ruth House Adult Day Care Center enjoyed high tea together in Westwood. The Cambridge biotech company Biogen announced Thursday that it is scrapping tests on an experimental treatment for Alzheimer’s disease, dashing hopes among advocates and caregivers for a medication to tame the devastating illness. Biogen — the largest biotech based in Massachusetts — and its Japanese partner Eisai said they were halting two late-stage clinical trials of the drug after concluding it was unlikely to benefit patients. The news sent Biogen stock into a free fall, with the company losing a staggering $18 billion of its value Thursday. With the setback, Biogen joined a long list of drug firms that have tried and failed to develop successful treatments for Alzheimer’s. For those who cope with Alzheimer’s day by day, the news was especially discouraging. The only medications on the market for a disease that afflicts some 5.8 million Americans merely slow the progression of symptoms in some patients. 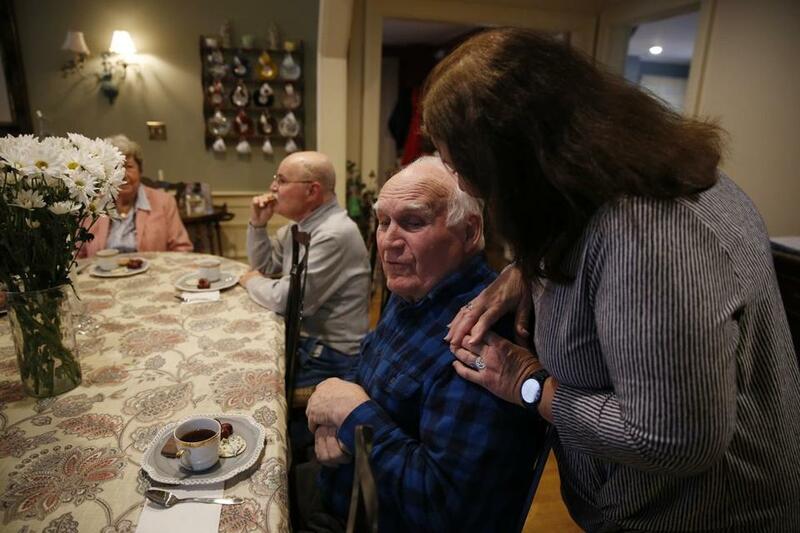 Carmen Roy, a geriatric care consultant in Pawtucket, R.I., had been following the progress of the Biogen trials and was disheartened by the news. Program Assistant Gloria Cabral (right) chatted with William Sullivan during high tea at the Julia Ruth House Adult Day Care Center. But compared with studies of other major killers like heart disease and cancer, the research into Alzheimer’s is relatively new, most of it starting only in the 1980s, Wessler added. Letdowns like Biogen’s announcement are “not uncommon in the pathway of trying to find treatments for major chronic illnesses affecting people across the world,” he said. Ann Whaley-Tobin, whose mother and aunt died of Alzheimer’s, was heartbroken. The retired schoolteacher in Canton has volunteered for two Alzheimer’s clinical trials despite having no signs of the disease and participates in 62-mile bicycle rides every year to raise money for research. 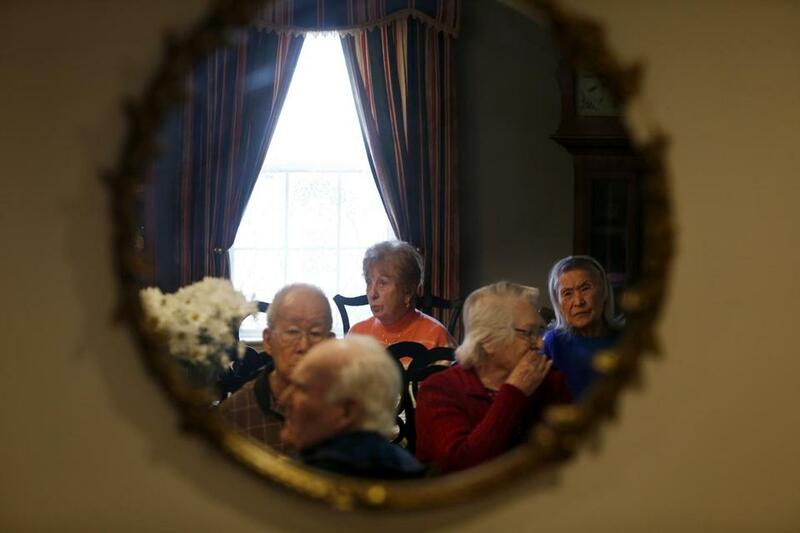 The failure of Biogen’s experimental drug, called aducanumab, is particularly discouraging for supporters of the theory that Alzheimer’s could be treated by targeting the protein fragments known as beta-amyloids. The hypothesis holds that clumps of the fragments were causing the damage. Aducanumab was supposed to be the drug that finally proved this idea after multiple other failures. Biogen and Eisai believed that the drug was more potent and did a better job of removing beta-amyloid. They also enrolled patients into their trials who had very early signs of Alzheimer’s disease, with the belief that this would improve the drug’s chances for success. It did not. Dr. Andrew E. Budson, chief of cognitive and behavioral neurology at the Boston VA Health Care System, said he wasn’t surprised that the drug didn’t work. Close to a dozen drugs targeting amyloids have failed, said Budson, whose practice participated in the clinical trial of aducanumab. “If you put it in that context, the remarkable thing would be that it actually worked,” he said. In a sense, Budson said, the drug’s failure has a bright side, because it will push drug makers to focus on other potential targets, such as the tangled proteins known as tau. Several drugs taking that approach are under study, he said. “I am very, very hopeful . . . that we will end up with a good drug that could actually work,” Budson said. 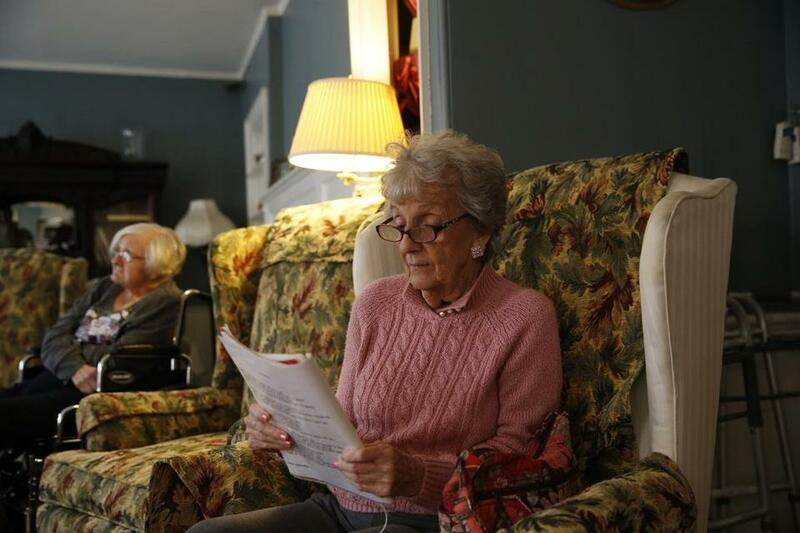 Pat Garrity sang along to songs playing at the Julia Ruth House Adult Day Care Center. But Biogen bet heavily on aducanumab, resisting calls from investors to diversify in a meaningful way to protect itself from an ultra-risky Alzheimer’s endeavor. Now that it has failed, there are questions about how the company can recover, and where its future growth might come from. “It’s uncontroversial to say that Biogen now has a serious growth problem,” Paul Matteis, an analyst at Stifel, wrote in a note to investors. He said that investors had hoped that Biogen would buy a smaller company focused on neurosciences, such as Sage Therapeutics or Neurocrine Biosciences. Pressure to make a big deal will now only increase. For Alzheimer’s patients and those who care for them, the disappointment doesn’t wipe out hope. Patty Blake of Canton remembers how hard it was to care for her late mother-in-law, who screamed when given a shower and who couldn’t recognize her son. Blake said her husband worries about being diagnosed with Alzheimer’s himself, because in addition to his mother, two aunts and a grandmother suffered from it. She wouldn’t hesitate to enroll him in a clinical trial if that happened. “I really hope there’s going to be something for them,” she said. Meanwhile, in case it might help stave off Alzheimer’s, her husband eats a lot of blueberries. Jonathan Saltzman can be reached at jsaltzman@globe.com. Felice J. Freyer can be reached at felice.freyer@globe.com.